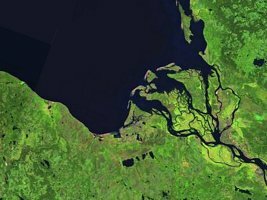 Arkhangelsk, located on the delta of the Dvina River as it enters the White Sea, is the oldest seaport in Russia. 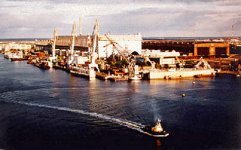 It is also a major port, provincial capital, and the largest city on the Russian Arctic Coast. Arkhangelsk is icebound up to 190 days annually, so icebreakers are used to maintain shipping traffic. 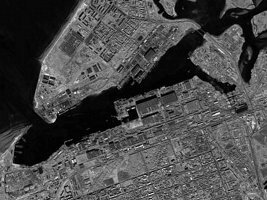 Located about 30 miles across the delta of the Northern Dvina River from the city of Arkhangelsk is Sverodvinsk, home to the world's largest shipyard. Severodvinsk was built to make the Northern Fleet independent of the Baltic shipyards and serves as the principal Russian shipyard for the Northern Fleet. Severodvinsk is a second largest city in the Archangelsk region, with a population of 240,000 people. The city, about 650 miles north of Moscow, was built in the 1930s to support Stalin's naval ship-building program. Construction of the city began in June 1936 on the deserted banks of the Severnaya Dvina (North Dvina) River by thousands of prisoners. The new city was named Molotovsk on 11 August 1938. By the start of the Great Patriotic War the city housed 40,000 people. 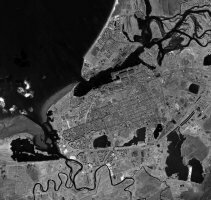 A sea port opened in December 1941, more than a half of the cargo received through lend-lease from England and the US was going to Archangelsk was actually unloaded in Molotovsk. 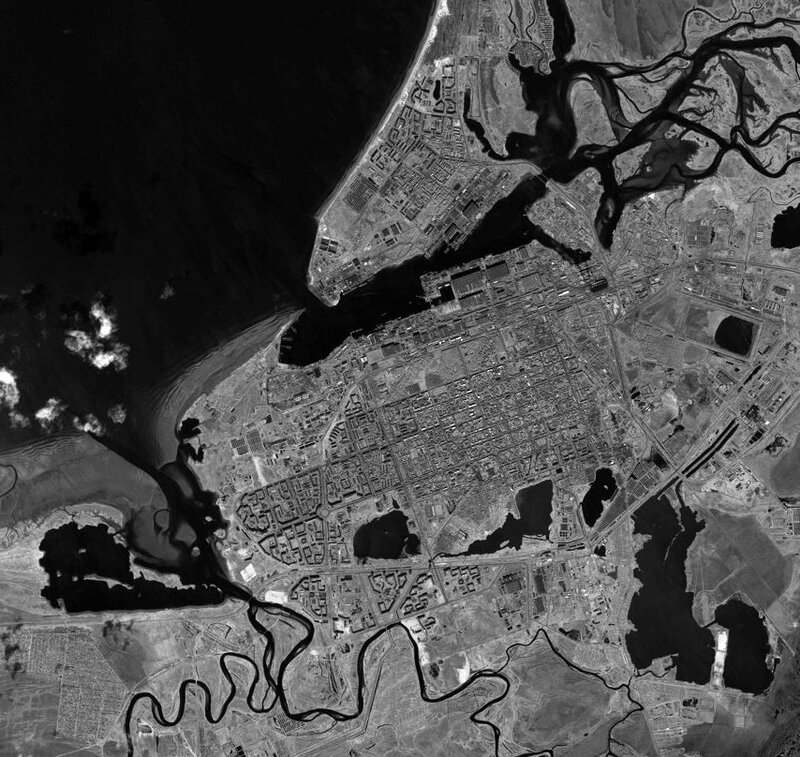 Molotovsk was renamed Severodvinsk in 1957. Severodvinsk is an inspectable SLBM facility under the START-1 agreement. It is one of two SLBM loading facilities -- the other is located at Okol'naya. The United States and the Soviet Union signed the Strategic Arms Reduction Treaty (START) on 31 July 1991. When START entered into force on 05 December 1994, the signatories began to implement the Treaty's complex set of intrusive inspection and verification measures. As part of START's verification provisions, each signatory was required to declare all facilities related to ICBMs, submarine-launched ballistic missiles (SLBMs), and heavy bombers. The former Soviet Union (FSU) has declared over five dozen START-inspectable sites in all categories, including five SLBM facilities and six submarine facilities. The state Plant SEVMASH is a well-equipped shipbuilding complex located in Severodvinsk that builds and repairs submarine. Initially known as Shipyard No. 402, the State Unitary Enterprise "Proizvodstvennoye Ob´edineniye "Severnoye Mashinostroitelnoe Predpriyatiye" [Sevmashpredpriyatie] is commonly known as Sevmash - Severnoye [Northern] Mashinebuilding Enterprise. Sevmash built the K-3 (called "Leninskiy Komsomol"), which was the first Soviet nuclear powered submarine. Sevmash is now the only Russian shipyard building nuclear-powered submarines for the national Navy. Since its inception, the enterprise has delivered 128 nuclear-powered submarines to the Navy. Russian nuclear submarine production is now centered at Sevmash. At least two classes of nuclear-powered submarines are under construction: the fourth-generation strategic Borei-class ballistic submarine, and the Severodvinsk-class "multi purpose" submarine. In 2008, Sevmash launched the new-generation Yury Dolgoruky ballistic missile submarine, the lead submarine of the Borei class. The Borei-class strategic ballistic missile submarines are intended to replace the obsolete submarines being dismantled with Nunn-Lugar funds. It has about half the displacement of the giant Typhoon, while carrying 20 SLBMs. The fourth-generation Project 885 Severodvinsk, the first of which was laid down on 21 December 1993, is the follow-on to the Akula class of multipurpose nuclear attack submarine. The keel of the nuclear-powered submarine Kazan was laid in 2009. The enterprise launched the Severodvinsk and Alexander Nevsky ballistic missile submarines in June and November 2010, respectively. The heavy missile cruiser Admiral Nakhimov was repaired at the enterprise quay. The necessity of shipbuilding yard establishment in the North appeared in five-year plan time, when in 1926 in country the military shipbuilding program was accepted. 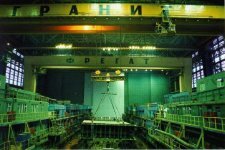 The government decided to modernize shipbuilding plants and start establishment of new ones as soon as possible. In March, 1936 government committee headed by the chief of design organization “Soyuzproektverf” T.V. Safronov arrived in Arkhangelsk in order to choose site for new shipbuilding plant. As a result of inspection, committee concentrated on the territory of Nikolo-Korelsky monastery area in Nikolsky mouth of the Northern Dvina. In 1936 plant building was started, and in a year near Nikolo-Korelsky monastery settlement Sudostroy was built. Construction of the plant began in 1936 not far from the Nikolo-Korelsky Monastery (Karelian Monastery of StNicholas). The town of Sudostroi was built near the monastery a year later. Designated as Plant No. 402, the enterprise started operating on December 21, 1939, when the keel of the battleship Sovetskaya Belorussia (Soviet Belorussia) was laid at one of its slipways. The shipyard, which was intended to build first-class warships, including cruisers and battleships, assembled submarine chasers, destroyers and diesel-powered submarines during World War II. 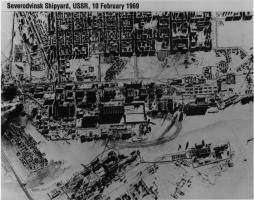 The enterprise also facilitated the combat readiness of the Soviet Northern Fleet's warships and repaired vessels delivering Lend-Lease aid via the Northern Sea Route. In the first post-war years plant No. 402 remained the main base of Navy ship repairing on the north of the country, took part in program realization “Ten-year Plan of Military Shipbuilding during 1946-1955”. At the beginning of 1950s the first plant order building was over. 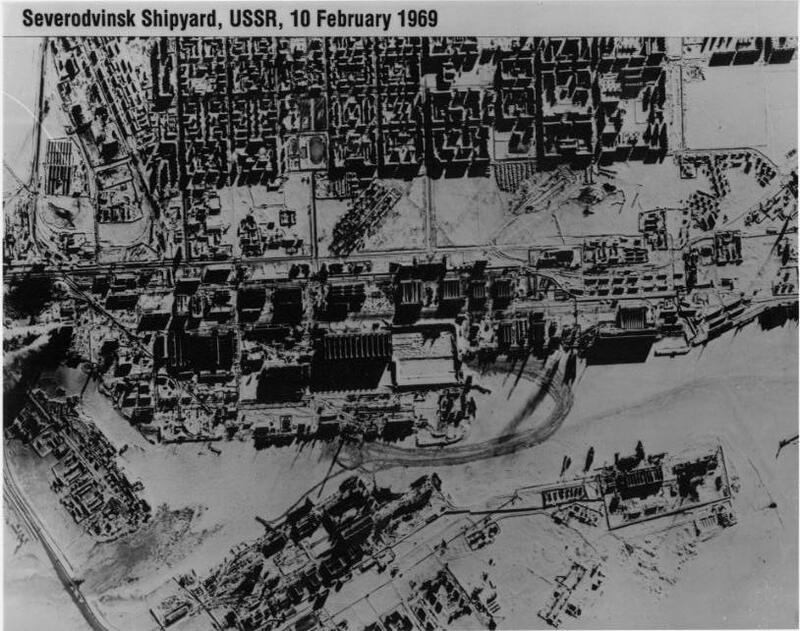 By the middle of 1950s on Severodvinsk yard 46 ships were handed in fleet including 2 cruisers and over 30 different ships of civil purpose (without taking into account fitting-out and major repair). 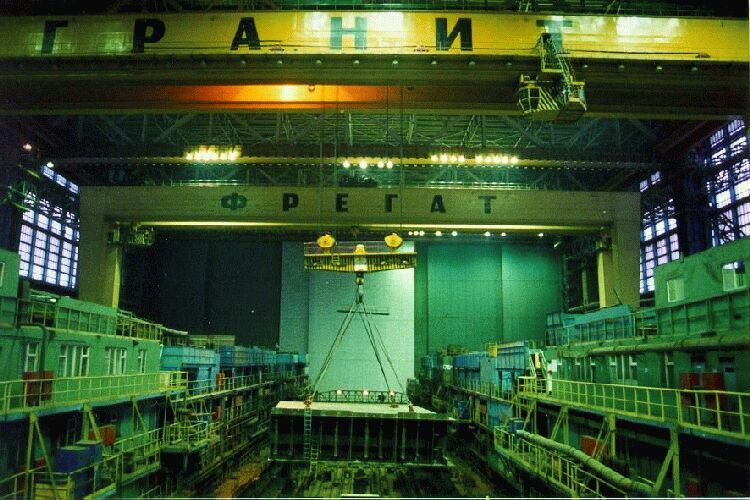 During these years, plant started to build diesel electric submarines (DEPL) of project 611 and its modifications. 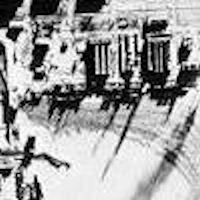 By project ?611 the first native submarine rocket carrier was designed. On September, 1955 ship passed the tests and successfully carried out shooting. In all till 1962, 33 DEPLs were built on Sevmash. The Project 611 submarine was used to develop the world's first ballistic missile submarine. In all, Sevmash built 33 diesel-electric submarines by 1962. On September 24, 1955, the keel of the Project 627 nuclear-powered submarine Leninsky Komsomol of the November class was laid. In three years submarine was handed in naval forces in trial operation, in 1962 it was named “Leninsky Komsomol”. The No. 402 Plant received the Order of Lenin for this achievement and for the top-quality work of its employees. The big group of workers, who took part in building, was awarded to orders and medals. 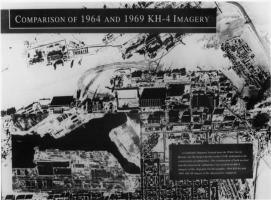 In all on Sevmash berths 13 nuclear submarines of this project were built. It had over 90 independent navigations and the first trip under ice to North Pole. In all, 37 first-generation nuclear-powered submarines were built at Sevmash slipways. On September 9, 1959, the No. 402 Plant was converted into the Northern Engineering Enterprise. In 1967, the Soviet Navy received the first Project 667AYankee-1 class nuclear-powered ballistic missile submarine. In five years, 24 second-generation nuclear-powered ballistic missile submarines were commissioned, making it possible to attain Soviet-US parity in the sphere of naval nuclear forces. In all, 35 modified Project 667 nuclear-powered submarine versions were built from 1972-1990. In 1969, Sevmash built the world's first Project 661 K-222 nuclear-powered submarine of the Anchar/Papa class with a titanium alloy hull. During its trial run, the submarine reached a top underwater speed of 44.7 knots, an unsurpassed world record. The enterprise was overhauled on a grand scale throughout the mid-1970s. 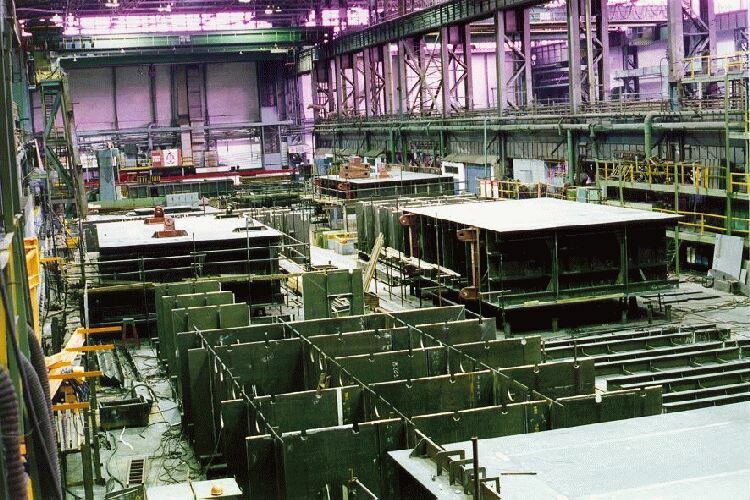 Its production facilities were doubled in size in order to facilitate construction of third-generation ships. The first third-generation Project 949 submarine of the Granit/Oscar class featuring 24 anti-ship cruise missiles was built in 1980. The Project 941 ballistic missile submarine of the Akula (Shark)/Typhoon class, the lead sub in the series now called the Dmitry Donskoi, was commissioned a year later. It featured Typhoon missile systems and was listed by the Guinness Book of World Records (Guinness World Records since 2000) as the largest nuclear-powered submarine in the world. In 1983, the Soviet Navy received the Project 685 deep-sea nuclear-powered submarine K-278 Komsomolets of the Mike class with a titanium hull. The submarine could dive to 1,000 metres, a depth unsurpassed by any other submarine in the history of civilisation. Since the late 1980s and until the early 2000s, the plant built a series of Project 971 attack submarines of the Shchuka (Pike) B/Akula (Shark) class. Workers at SevMash built Russia's Typhoon-class subs, the world's largest. Sevmash is engaged in the work of cutting up and dismantling Russian strategic nuclear missile-carrier submarines, including those of the Typhoon class. US officials awarded a contract on 02 September 1999 to SevMash for the dismantlement of a Typhoon-class submarine. Previously submarines were being recycled only at the Zvyozdochka plant, located across the bay from Sevmash. In early November 1999, it was reported that India and Russia had signed an agreement to sell the Admiral Gorshkov heavy cruiser [the last Kiev-class vessels] to the Indian Navy. The ship is to be modified into an ordinary-type aircraft carrier to provide takeoff operations for the MiG-29K deck fighters. Reportedly, the Nevskoye marine design bureau and the SevMash shipyard planned to conduct the ship's modifications over a two and a half year period. Repair and rearrangement of the heavy aircraft cruiser (former “Admiral Gorshkov”) was rearranged and repaired for India Republic within military cooperation. This project was one of the most significant for the enterprise both in scope and in novelity of used technologies. Actually cruiser is refurbished in modern aircraft carrier, equipped with the latest technique. Contract for repair and rearrangement of the ship was signed between FSUE “Rosoboronexport” and India Republic in January 2004. First of all cruiser was taken out of Russia Naval Forces then equipment was dismantled. On the 9th of March 2004 official ceremony of presenting cruiser to Indian part took place, after it according to Contract, ship was given to Sevmash for storage. At present time aircraft carrier is on firm foundation in basin, where dock works are being carried out. At the same time works on upper deck refurbishment are being performed. Many Russian enterprises take part in designing and manufacturing ship systems and equipment. Under a program of military-technical cooperation with foreign countries, two Project 636 Kilo class diesel-electric submarines were built here in 2003-2005. Repair and rearrangement contract is complex: besides cruiser repair and rearrangement it includes shore deployment objects outfitting, ship repair base in different Indian cities, development of repair documentation, training of crew and technical specialists, guarantee and post-guarantee maintenance and spare parts delivery within 20 years of ship operation. 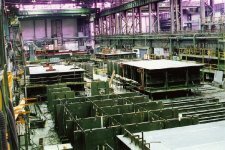 The civilian shipbuilding sector is an inalienable part of Sevmash production facilities. Since 1990, the enterprise has built over 100 multi-purpose civilian vessels, including tugboats, mini-bulkers, pontoons, barges and fish-breeding plants. Sevmash also continues to build chemical tankers and ocean-going yachts. The enterprise manufactures ship machinery, equipment for the power industry, iron and steel sector, chemical and other industries. Its machine-builders manufacture high-tech products for the nuclear sector, including transport and packing containers for spent nuclear-submarine fuel, as well as icebreakers and nuclear power stations. Sevmash built a passenger-carrying tourist submarine, Neptun, in 1991. It worked in the Caribbean for three years before returning to Russia for repairs in 1996. The yard's work also includes domestic and foreign commercial contracts for oil and gas industry equipment and installations. In May 1992, the ZAO [private joint-stock company] Rosshelf was created for the development of oil and gas fields in the Arctic seas. Combining Russian defense enterprises for submarine construction and the largest domestic oil and gas geological companies, the company includes some of the largest Russian fuel and energy and defense enterprises: the RAO [Russian joint-stock company] Gazprom, Arkhangelskgeologiya, the production association Sevmash, the Cherepovets Metallurgical Combine, the design bureaus Rubin, Malakhit, and Lazurit, and others. Rosshelf was issued a license for working the most promising fields of the Barents Sea—: the Prirazlomnyy Oil and Shtokmanovskiy Gas Condensate Fields. By the beginning of 1997 Gazprom and Rosshelf had invested about R300 billion in northern projects. Of this, R200 billion went for the needs of the northwestern region of the Russian Federation, including for reconstruction of defense enterprises in Severodvinsk. In 1997 Gazprom initiated a project for the construction of a drilling platform to extract oil at the Prirazlomnoye deposit. Construction at the Sevmash production association, which will cost $800 million, will be completed by the year 2001. In 1999, LUKOIL planned to order from the Sevmash shipyards construction of ice-breaking tankers with reinforced hulls and dead-weight capacities of 60,000-80,000 tons. 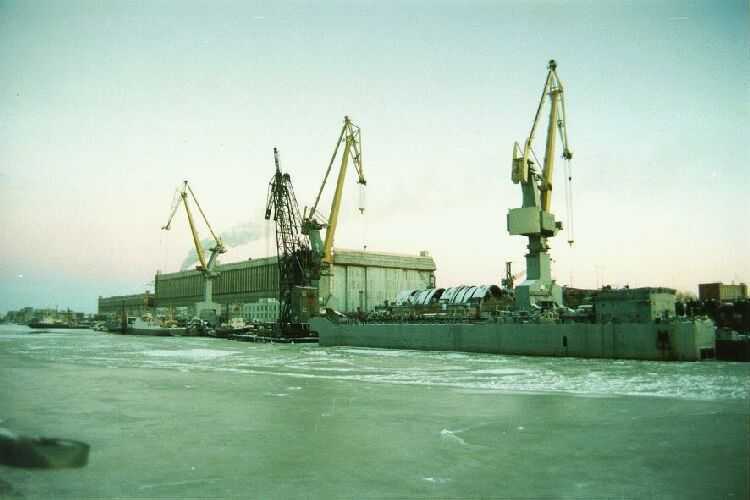 In February 2000 it was reported that Sevmash, Norilsky Nikel and Norilsk Mining Company had agreed on a project to transport nickel by submarines. Norilsky Nikel was said to be ready to invest 80 million dollars in the conversion of decommissioned submarines of the Northern Fleet for this purpose. Most of the ice breakers that carry ore from Norilsk on the Taimyr to the Severonikel plant will have reached the end of their service life by 2005, and there is not enough funding to replace them all. The state engineering enterprise Zvezdochka [Zvyozdochka] is a large industrial company located in Northwest Russia. The company employs 8000 qualified workers, has modern slips, floating docks, ship transporting cars, quays, workshops with up-dated equipment. The Zvezdochka enterprise, located across the bay from the SevMash Shipyard in Severodvinsk, builds and repairs submarines. During the Cold War, Russian workers at Zvezdochka maintained ballistic missile submarines. Today, they spend their days using American-supplied equipment and technology to dismantle Soviet-era vessels. The metal subs are cut into 20-ton sections that are then chopped, formed and pressed into cubic-meter blocks. The European-standard-sized chunks can be smelted all over the continent. The United States provided all of Zvezdochka's scrapyard machinery and infrastructure. US-funded construction is under way for processing facilities that will remove the subs' nuclear fuel and radioactive wastes and convert them into forms suitable for long-term storage or reuse. By 1996, so much waste had accumulated at Zvezdochka that there was a danger of a serious environmental disaster. On 10 September 1999 a complex for storage of liquid radioactive wastes opened at Zvezdochka after 14 months of construction. The complex was built by Russian workers with Norwegian management and financing, within the framework of Norwegian and Russian governments' agreement on utilisation of Russian nuclear submarines with the aim to improve nuclear and radiotion safety in the region. Responsibility for decomissioned nuclear-powered submarines was transferred from the Defence Ministry to the Ministry of the Atomic Energy in late 1998 under Government Resolution No.518. Consequently, all the operations for the dismantling of nuclear-powered submarines and ships was transferred totally to the industrial sector -- the defence enterprises Zvezdochka and Nerpa located in the North, and Zvezda in the Far East -- the three Russian enterprises that scrap old submarines. As of October 1999 the Nuclear Ministry was searching for places for temporary storage of the spent fuel from nuclear-powered submarines. It was considering bases on the Kola peninsula, the Andreyeva inlet, Gremikha, the Nerpa ship-repairing plant near Murmansk, and Kamchatka. Current US Cooperative Threat Reduction (CTR) projects address solid radioactive wastes as part of the dismantlement and disposal of targeted Russian ballistic missile submarines and their reactor components. CTR has provisions to process solid radioactive wastes only at Zvezdochka near Severodvinsk and Zvezda near Vladivostok in the Far East. The Arctic Military Environmental Cooperation Program (AMEC) solid radioactive wastes processing system will be established at facilities on the northeastern portion of the Kola Peninsula near Murmansk, which are more than 500 miles from Severodvinsk. In 1998 Zvyozochka built for Gazprom a semi-submersible jack-up rig for prospecting offshore fields in the Barents and Pechora seas. The project to build the rig originated in 1994. Another was built at Sevmash.